Thanks to Dr. Nathaniel Tablante and Jenny Madsen at University of Maryland, two new biosecurity courses are now available through eXtension. A third course will soon be accessible. The self-directed certification online courses are free, but require enrollment. Participants will gain vital information on biosecurity measures that focus on prevention, response and recovery of an avian influenza outbreak. 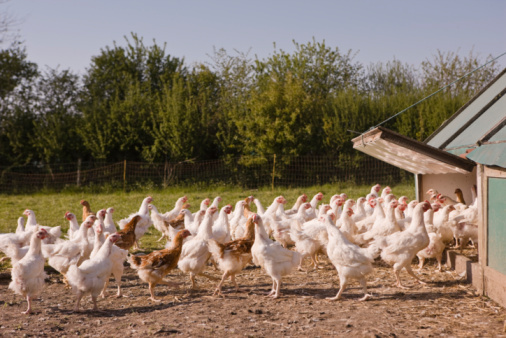 Avian Influenza for Backyard Owners is designed for small flock, backyard, homestead and hobby poultry owners. Avian Influenza for Emergency Responders is designed for emergency response personnel. Please , i would like to know more about avian influenza diagnosis, prevention and control. I would like to attend short cources and workshops if scholarships can be found. I am a young up coming veterinary researcher in Zambia. I have an MSc (Veterinary Medicine) from University of Zambia.